SATO RACING Handle Bar Ends for 2017+ Suzuki GSX-R1000/R are an easy way to give your handle bars a premium, custom look. 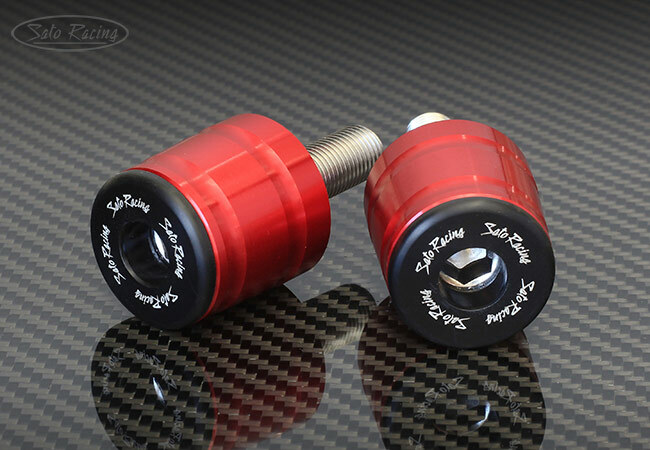 These Full size (35mm diameter) slider-type Bar Ends feature end caps made of tough, abrasion-resistant Delrin to help protect the bars and bar-mounted components from scrapes or other damage if you lay it down at speed. 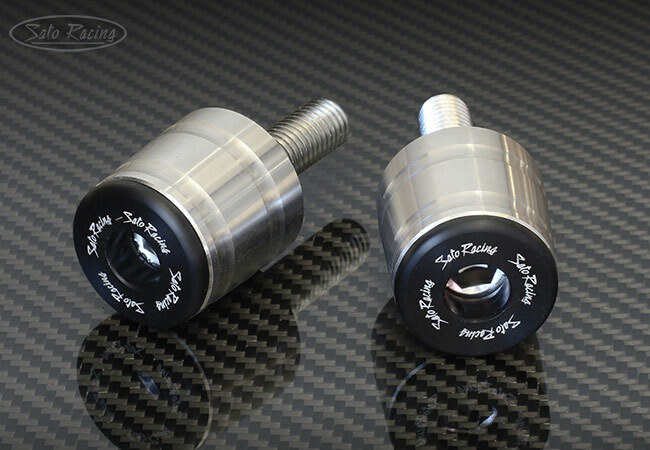 Bar Ends are CNC-machined in your choice of heavy Stainless Steel, or billet aluminum anodized in Black, Silver, Gold or Red finish. 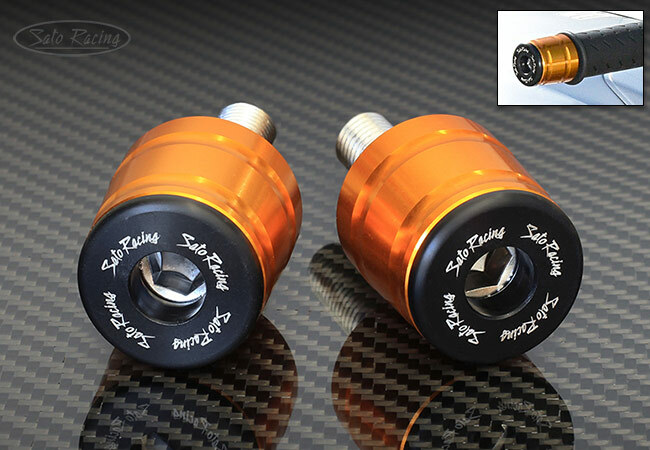 Includes black anodized aluminum spacers (these spacers are optional and can be removed if not needed), and M12-size bolts with the correct length and thread pitch for 2017 and up GSX-R1000/R. weight at the ends of the bars can help to suppress handle bar vibrations.